Any Video Converter can convert all supported formats to MP4 or AVI for mobile phones. 3GP is the 3rd generation video standard for use on 3G cell phones. With 3G cell phones, people can take videos on the go and enjoy the moving pictures and music any where they want. And Any Video Converter makes you enjoy mobile movies even more easily. Need to convert DVDs to cell phone movies? Try Any DVD Converter. If you are running on Mac OS X, go to 3GP Video Converter -- Any Video Converter Ultimate for Mac. It supports converting video & DVD to 3GP, AVI, MP4, MPEG, WMV, MKV, FLV, etc. for enjoyment on all popular portable devices anywhere and anytime. If you are looking for a Mac 3GP Video Converter, DVD Converter & DVD Maker, iPod Manager, YouTube Downloader, Screen Capture even DVD & Video Editor. Any Video Converter Ultimate for Mac will be the best choice for you. Any Video Converter is an all-in-one professional 3GP video converter that can convert AVI, MPEG, MOV, RMVB, FLV, WMV, MKV, AVCHD (and other video files to 3GP for 3G smart phones. It doesn’t matter if your mobile phones does not support 3GP format. Any Video Converter can convert all supported formats to MP4 or AVI for mobile phones. If you want to output 3GP video files with different resolutions, bitrate, sample rate and quality, you may find Any Video Converter is the very 3GP converter you want, with which you can freely trim a large file by clipping tool, crop black borders from movies using cropping tool, customize the output file parameters, extract the audio from video files, and adjust video effects, and more! Video MP4 (supported by iPad, iPod, iPhone, PSP, Apple TV, Gphone, Blackberry etc. ), WMV (supported by Zune HD, Windows Mobiles, etc. ), 3GP (supported by 3G mobile phones), FLV (suitable for online transfer), AVI (supported by Xbox 360, Archos, Creative Zen, Wii, etc. ), MPEG-1, MPEG-2, MKV, 3G2, SWF. *3G cell phone users can also download YouTube videos and convert them to 3GP videos, as well as capture DV movies and convert them to 3GP videos for playback on 3G cell phones. Smartphones and cellphones support 3GP. Lots of cellphones and smartphones support the Third Generation Partnership Project (3GP) file format for it can be used for recording and sharing videos on cellphone data networks. The popular device that support 3GP includes Android OS smartphones like Samsung Galaxy Note Series and Samsung Galaxy S10, HTC One Series, HTC Desire, HTC Sensation, Sony Xperia. Though crowds of people are running after smartphones for displaying HD MP4, there are still people favor the classic mobile phones. Here are mobile phones that capable of taking video 3GP. Nokia Mobile Phones: Nokia X2-01, Nokia 303, Nokia 201, Nokia X2, Nokia 200, Nokia C2-05, Nokia C5, Nokia 300, Nokia 201, Nokia C3, Nokia 6303i classic. Motorola Mobile Phone: Motorola V3x, Motorola SLVR L7, Motorola L6, Sony Ericsson W580, Motorola A768i, Motorola E680i, Motorola V3i, Motorola A630. Sony Ericsson Mobile Phone: Sony Ericsson W660, Sony Ericsson K530, Sony Ericsson K630, Motorola A1000, Sony Ericsson W880, Sony Ericsson K810, Sony Ericsson W810, Sony Ericsson W610, Sony Ericsson K 550, Sony Ericsson W910. AVI is common for storing video and audio data on computers. If you got AVI files and want to convert the videos for your cell phones, Any Video Converter is your premium choice. Any Video Converter can convert AIV, MPG, FLV, WMV, MOV, VOB, RMVB, MKV and ASF to 3GP, as well as converting AVI and all supported formats to MP4 and custom AVI profile for your mobile phones. AVI is a multimedia container format introduced by Microsoft as part of its Video for Windows technology. AVI files can contain both audio and video data in a file container that allows synchronous audio-with-video playback. WMV is basically used for Microsoft software and products. Any Video Converter can convert WMV files to 3GP, AVI and MP4 for mobile phones. The video converter can also convert WMV to other formats like MPEG-1, MPEG-2, FLV and MP3. 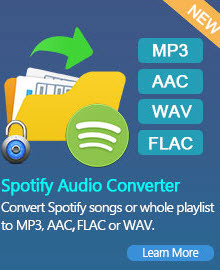 However, Any Video Converter will not convert protected WMV videos. Software that can play WMV files includes Windows Media Player, RealPlayer, MPlayer, VLC Media Player, Zoom Player and Media Player Classic. Many third-party players exist for various platforms such as Linux that use the FFmpeg implementation of the WMV codecs. To convert DVD to 3GP format, you got to have Any DVD Converter. With Any DVD Converter Pro, the smart DVD to 3GP Converter, you can easily make 3GP videos from DVDs for you mobile phones. Besides converting DVDs to 3GP videos for cell phones, Any DVD Converter can also convert avi, asf, mov, mp4, 3gp, m4v, rm and rmvb to 3GP videos. Any DVD Converter can not only convert unprotected DVDs, but also able to convert encrypted DVDs like CSS-protected DVDs. To convert copy protected DVDs, you should check "Convert DVD titles in DVDNav mode" option (Edit > Options > DVD). How to download YouTube video in 3GP? YouTube supports 3GP, allowing videos to be uploaded from mobile phones and download for displaying on mobile phones as well. If you happen to be one of the big fans for downloading 3GP video from YouTube and want to enjoy it on your 3GP supported cellphone. You can also use Any Video Converter to do the job. Any Video Converter is able to download all video formats that available on Youtube including 3GP. After copying and pasting YouTube URL to the program, just click to "Edit > Options > Online Video" and check "Mobile Version". Then you can enjoy 3GP YouTube video in any supported device. We offer free download and trials of Any Video Converter and Any DVD Converter on our websites. You can download this versatile 3GP video converter to convert movies for your mobile phones. Downloads of the video converter are also available on hundreds of software publishing sites. Notable download sites such as www.download.com provide download service of our programs. 3GP is the 3rd generation video standard for use on 3G mobile phones. It is a simplified version of MP4. 3GP stores video streams as MPEG-4 or H.263, and audio streams as AMR-NB or AAC-LC formats. 3GPP stands for The 3rd Generation Partnership Project. It is a collaboration agreement that was established in 1998. 3GPP specifications are based on evolved GSM specifications, now generally known as the UMTS system. Note that 3GPP should not be confused with 3GPP2, which specifies standards for another 3G technology based on IS-95 (CDMA), commonly known as CDMA2000. Current 3GPP standards incorporate the latest revision of the GSM standards. 3GP is designed as a multimedia format for transmitting audio and video data in 3G cell phones networks and over the Internet; commonly used by mobile phones that support video capture. MPEG-4 is widely used for storing digital video and digital audio streams, especially those defined by MPEG, but can also be applied in storage of other data such as subtitles and still images. 3GP and MPEG-4 are both multimedia container formats. 3GPs work well on most of the cellphones, but it is not universally supported by all device. MPEG-4 uses AAC for audio while 3GPP uses AMR (adaptive multi rate) which is widely used in mobile phones for calls transmitting. So in terms of data sharing in cellphones network, 3GP has its own advantage, but as to the range of application and quality, MPEG-4 is superior to 3GP. MPEG-4 enables different software and hardware developers to create multimedia objects possessing better abilities of adaptability and flexibility to improve the quality of such services and technologies as digital television, animation graphics, the World Wide Web and their extensions. MPEG-4 absorbs many of the features of MPEG-1 and MPEG-2 and other related standards, adding new features such as (extended) VRML support for 3D rendering, object-oriented composite files (including audio, video and VRML objects), support for externally-specified Digital Rights Management and various types of interactivity. MPEG-4 is still a developing standard but it will surely grow with more powerful feature in the future. Mac OS X 10.5, 10.6, 10.7 or 10.8 Mountain Lion Go to Any Video Converter Ultimate for Mac. 2. How to Share iTunes Videos on YouTube? If you download a video from iTunes and would like to recommend it to others, YouTube will be an optimal platform to share videos. But YouTube doesn't support iTunes M4V format with DRM protection. 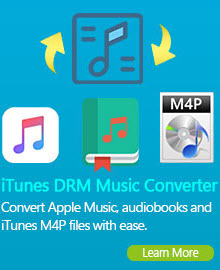 With NoteBurner M4V Converter Plus, you can remove DRM protection from iTunes purchases or rentals and convert M4V to unprotected MP4. NoteBurner M4V Converter Plus is the fastest DRM remover in the market which can remove DRM from your iTunes videos at 20X faster speed on Mac OS. Learn More: How to Upload iTunes M4V Videos to YouTube?